Iran’s Parliament Speaker Ali Larijani says Iran’s influence in the region is invincible, as the Islamic Revolution has progressed so great that the enemies’ big plots would reach nowhere. “Enemies are talking against Iran and interfere in [our] missile issues. But they know Iran holds such a grandeur in the region that cannot be eliminated,” he said. Speaking in a meeting with organisers of ceremonies commemorating the 40th anniversary of the victory of the revolution, Larijani said Iran has made great achievement in various fields following the victory of the 1979 revolution, particularly in science. 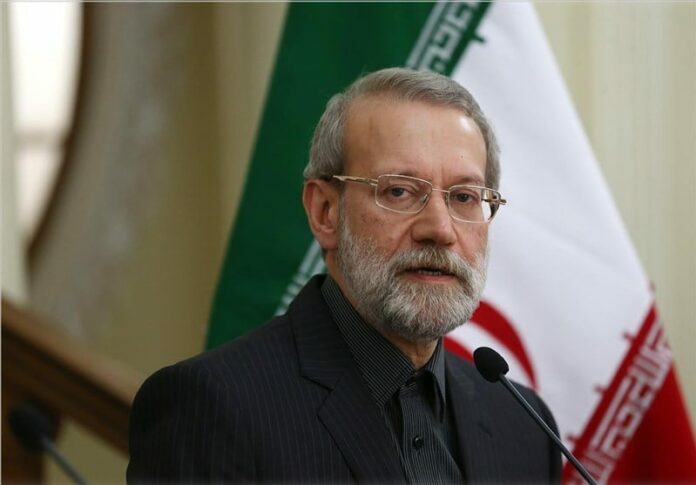 However, Larijani said enemies are still engaging in sophisticated psychological operations to tarnish the image of the Islamic Republic and prevent the world from understanding the revolution, ICANA reported. “The Islamic Revolution is in a stage that enemies are hatching plots against it. Due to its importance, they are seeking machinations to decrease the weight of the revolution …,” he said, urging greater efforts to introduce the revolution to the world.